On January 29, Federal Education Minister Birmingham announced a proposal for a new assessment of children in year one across the country. The Minister said that “an expert group of principals, teachers, speech specialists, academics and researchers will progress the staged implementation of a nation-wide phonics assessment and the development of a numeracy check.” The minister stated that the purpose is to “provide early identification of those students who are behind so they can be targeted with interventions before the achievement gap grows”. Early Childhood Australia has been a strong supporter of strengthening the education evidence base. We believe it is important that the evidence is of the right kind, and that it tracks children’s performance over time. How does this proposal fit in? Phonics is a method of “teaching beginners to read and pronounce words by learning the phonetic value of letters, letter groups, and especially syllables” (Merriam-Webster dictionary). The place of phonics in literacy education is a subject that attracts great controversy and argument. The terminology is also pretty complicated. Advocates for phonics in Australia are talking about a particular kind of phonics, called synthetic phonics. Also, supporters of this system often refer to systematic phonics, meaning the full range of sounds should be taught in a systematic way. This debate is partly about how to use two contrasting approaches to reading and literacy, whole language; and phonics. Behind this choice lie deeper, competing theories about how teaching and learning occur, and about how we understand information and make meaning out of it. 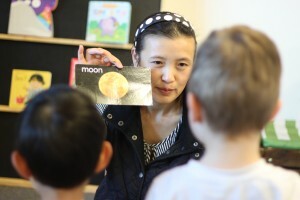 The Australian Literacy Educators Association have explained the debate and, like many in the field, they point out that a range of teaching approaches must be available to teachers, and used together. Phonics is one of the key tools. Part of the current debate is because some people believe that systematic synthetic phonics is relatively neglected. So why is there such controversy about a test or assessment for phonics? In short, if you test for something, it is because you think it is important. Testing for phonics would mean the government thinks it is phonics (and not other aspects of literacy) that it needs to analyse and (potentially) change. There was strong debate about the phonics test proposal late in 2016. You can read this piece that rejected the idea, arguing that it was a bad proposal in the UK, and shouldn’t be reproduced here. On the other side, you can read this piece, which reasons that it would provide valuable information for teachers. It can be hard to find balanced opinions on the subject. There are accusations that people opposed to phonics are verging on malpractice; on the other side there are claims that the evidence base is weaker than claimed and being misrepresented. What the Commonwealth is currently proposing is only a pilot, and it is a check on children’s progress, not a definite proposal to vary the curriculum or educator training. However, the obvious implication of assessment, is to drive changes to how teaching occurs and how educators are trained. So it could have implications for how educators and teachers would in future be expected to introduce children to reading, writing and spelling. Early Childhood Australia understands the importance of assessment information to assist governments and educational institutions to direct their resources to areas of need. The government recently received the Productivity Commission’s report on the education evidence base, but hasn’t yet publicly released or responded to it. 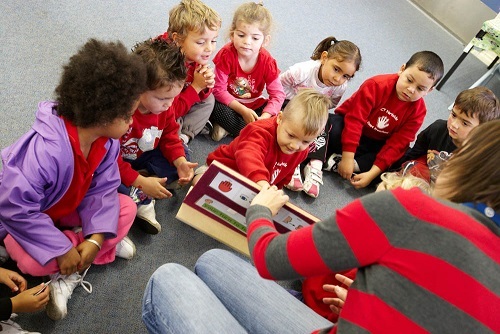 Early Childhood Australia would like to see early years literacy and numeracy assessment tools considered in the context of broader improvements to gathering information in our education system. Given that the assessment is proposed at year one, the majority of education experienced by most of the children will have occurred in the home, or early learning environments like family day care, long daycare, preschool and kindergarten. For this reason, it is essential that several early childhood education experts are on the panel. In addition, while the government has mentioned that the panel will include “speech specialists”, even more vital will be literacy specialists, since this is not an issue focused specifically around speech. Early Childhood Australia supports the development of literacy in the early years, and agrees we should gather data, and implement educational strategies to support that. The evidence suggests synthetic phonics will be one part of the picture, but only one part. Early Childhood Australia looks forward to working with the panel to have a discussion about the best way to pilot year one assessment. It is worth remembering that children learn in diverse ways: the best teaching strategy for one child may not be the best for another. We need to ensure we provide an environment that supports improvement for every child. As the CEO of the Australian Council for Educational Research, Geoff Masters, recently observed, we need more flexible ways of organising teaching and learning to better target individuals’ current levels of achievement and learning needs. Another part of the solution lies in re-conceptualising what it means to learn successfully – defining success and failure not so much in terms of age or year-level expectations but as the progress that individuals make in their learning, regardless of their starting points. Finally, research has overwhelmingly established that early access to quality play based education is of huge importance to young children’s development, including their literacy and numeracy, and is of great benefit to the community. Our highest priorities should be ensuring that we adequately fund quality early education, including preschool; and that we support educators to deliver quality services in those settings. Name a job where you can act like a child? Ian Hamilton has thirty years of experience and leadership in policy and politics and is the principal at Hamilton and Stone Consultancy. Hamilton Stone focuses on public policy, professional development and capacity-building, and parliamentary engagement. 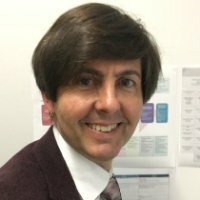 Ian has diverse sector experience including early childhood, family services, aged care, disability, public utilities, health including mental health, parliamentary procedure and the environment. Thank you for your balanced, informed and informative response to this question. Balance and adaptability is so important in education debate, and as you comment, this is a very polarising issue. While I am generally of the opinion that early literacy needs to be approached holistically, through play and as a social practice, successful learning in literacy is also dependent on phonemic awareness. That is an awareness of how sounds work and make up words. Singing, rhyming and playing with words and sounds is an effective way to ‘teach’ young children about phonics.